Donald Trump Jr. said he released damaging emails about meeting "a Russian government attorney" to be "totally transparent." The real story is more complicated -- and, it seems, more self-serving. The New York Times had already reviewed copies of the emails and asked Trump Jr. to comment when he decided to tweet out pictures of the email exchange. Trump Jr.'s tweets came out, seemingly out of nowhere, at 11 a.m. ET on Tuesday. By then, the Times was already on the verge of publishing. The newsroom already had a full story ready to go, so it hit publish a few minutes later. A news alert sent by the paper came out at 11:10 a.m.
Staffers at the Times confirmed that they believe Trump Jr.'s release was triggered by their reporting. 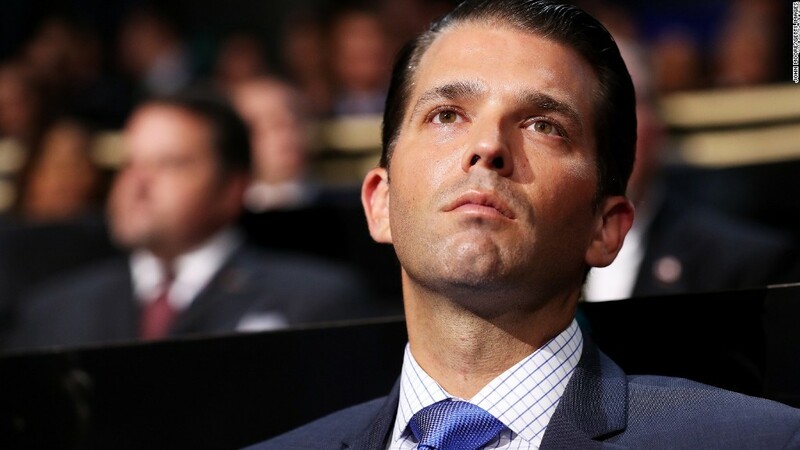 "@DonaldJTrumpJr posted these emails after being informed that The New York Times was doing a story on them," deputy managing editor Clifford Levy tweeted. A newsroom source declined to say when exactly the story came together. But "we were preparing to publish" when Trump Jr. tweeted, the source said. "Don Jr. asked for more time when we contacted him" for comment, "and then pre-empted us." The Times has been out front on the entire story of Trump Jr.'s June 9, 2016 meeting with the Russian lawyer at Trump Tower. The paper's first story revealing the existence of the meeting hit on Saturday. A bombshell followup on Sunday was titled "Trump Jr. Met Russian for Dirt on Clinton." Then on Monday night came this: "Trump Jr. Was Told in Email of Russian Effort to Aid Campaign." After Monday night's story came out, revealing the existence of the email but not actually quoting from it, Times reporter Adam Goldman, one of four bylines on the story, tweeted a late-night update: "I am still reporting."